When we interact with our horses we cannot separate the deeper layers that are present within horses from their current responses. When a horse has experienced some trauma in his or her past it will influence our current interaction. That is why it is beneficial to discover whether or not your horse has a certain layer upon him or her. If we realise what this trauma is and how it influences our horse, we can take steps within our interaction to enable healing of the past. Because of an overlapping of past and present, it is unwise to judge a human or horse based on the current responses of a horse alone. It is important to expand our awareness as an observer so we can see what is hidden underneath the responses that are shown. From there we can discover possible alternatives to respond to specific reactions. 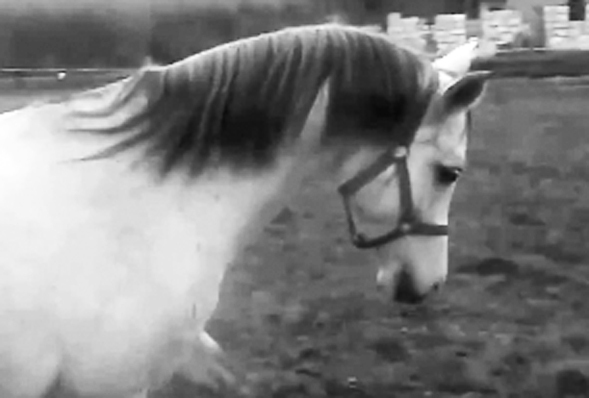 In this video we can clearly see how past and present are layered upon another and reveal questions from a horse. The beauty of observing is that our horse shows us in fact possible answers to his or her request. Within the horse’s responses we can also discover his specific answers to our request. It is one moment in time and within that moment we can see many different shifts. Every horse has his own way of responding. Some horses are more outgoing and will show very expressively that they don’t agree, other horses are more introvert and close down more easily. In this case too it is helpful to learn how to understand your horse by reading and feeling what he feels in that moment. When a horse is angry with you, it doesn’t necessarily means you did something wrong. He just might not understand something. Assess yourself first and check whether you did something that might be offensive or intrusive etc.